Fall is the perfect time to help your skin prepare for the cold, harsh, drying months ahead and take care of any skin damage that may have resulted over the summer months. Deep Cleansing –Deep cleansing facials make up for our lazy ways by thoroughly removing dirt and oil build-up without drying the skin. Proper cleansing means your pores will be refined and your complexion will look and feel rejuvenated. Remove blackheads and whiteheads – This is an operation best left to the professionals. By regularly getting the gunk out of your pores, your skin will breathe better, look healthier and suffer fewer breakouts. Rehydrates skin – Depending upon your skin’s needs, your Aesthetician will choose a specific product specially formulated to treat specific skin care needs and restore balance to the skin. Moisturizes skin – Facials typically conclude with the application of a moisturizer to plump the skin and make it smoother, softer and fresher-looking. Exfoliates skin – Exfoliation is essential for eliminating dead skin cells that clog pores. It stimulates skin renewal and can help control acne breakouts. Help fade discolouration – Products can be applied during the facial which help minimize redness and dark spots making the skin more radiant. Improve skin tone – Our Aestheticians will select a treatment or treatments to address pore size, uneven skin discolorations, and increased skin laxity leaving your skin feeling more youthful and vibrant. Receive good advice – Our Aestheticians are trained to look for and deal with complex skin issues and will carefully review your skin and ensure the facial is appropriate for your skin type and its needs. They can advise you on products which will help your skin even after you have left the spa. 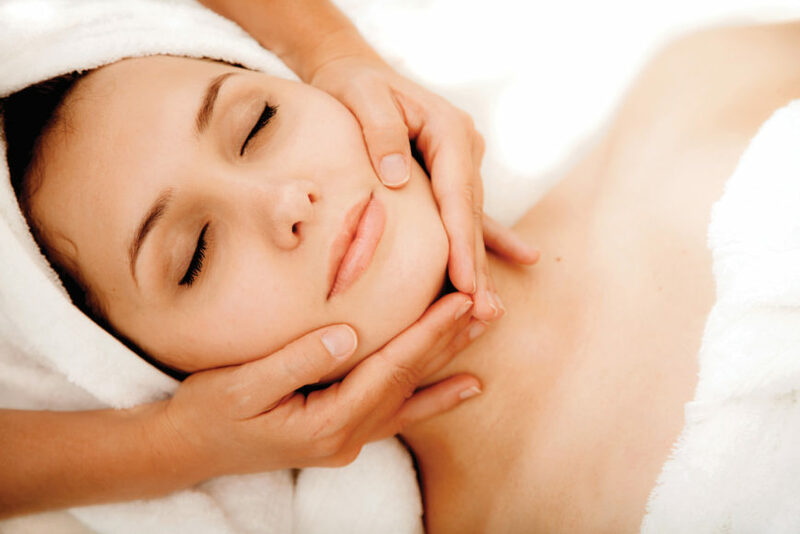 Reduce the appearance of wrinkles – Facials can help smooth and relax fine lines making the skin appear younger. Regular facials promote cell turnover, boost collagen production and maintain healthy skin balance–all of which are great anti-aging remedies. Alleviate stress – When was the last time you took a bit of time for yourself? Get the kids back to school and then do something just for you. Relax and unwind and restore balance to your mind and your skin. Ready for a facial now? You are in luck, our beloved fall facial special is back. Receive $20 off any regular priced facial over 60 minutes during September and October. Click here to review the types of facials we offer and then give us a call and mention Feel Fall Fresh to take advantage of the discount. You must mention the offer upon booking to receive the discount. No service substitutions. While availability lasts. Not to be used in combination with any other promotion or discount. Facial Offer is valid Sept 1 through Oct 31, 2016 at both Mahogany Salon and Spa locations.